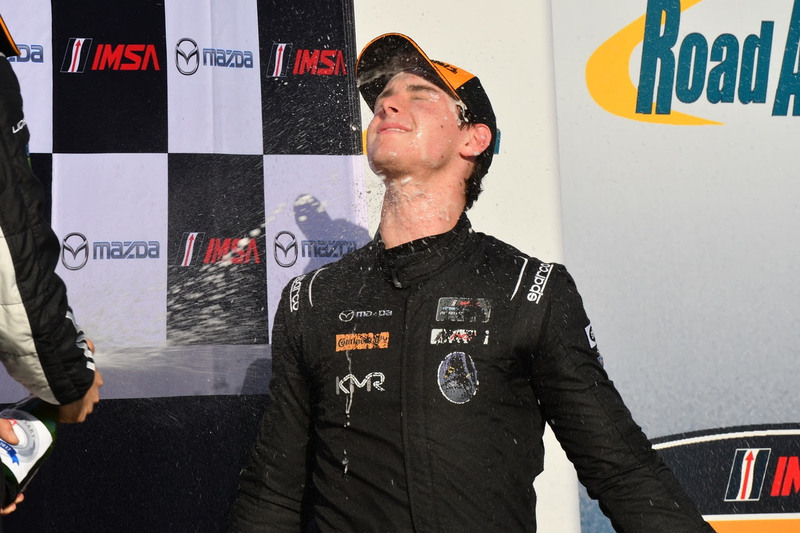 Braselton, Ga. (6 October 2017) – Colin Thompson was crowned the IMSA Prototype Challenge Presented by Mazda Champion for Kelly-Moss Road and Race on Friday after a thrilling season-finale event at Road Atlanta. Thompson entered the double-header race weekend with the championship lead, but needed to lock in two strong finishes at the Atlanta area road course in order to clinch the title. The 23-year-old racer secured two podium finishes in the event which was enough for him to take the top honors. Kelly-Moss Road and Race adds yet another championship title to the team’s long resume of success after Thompson delivered a second place result on Thursday in the No. 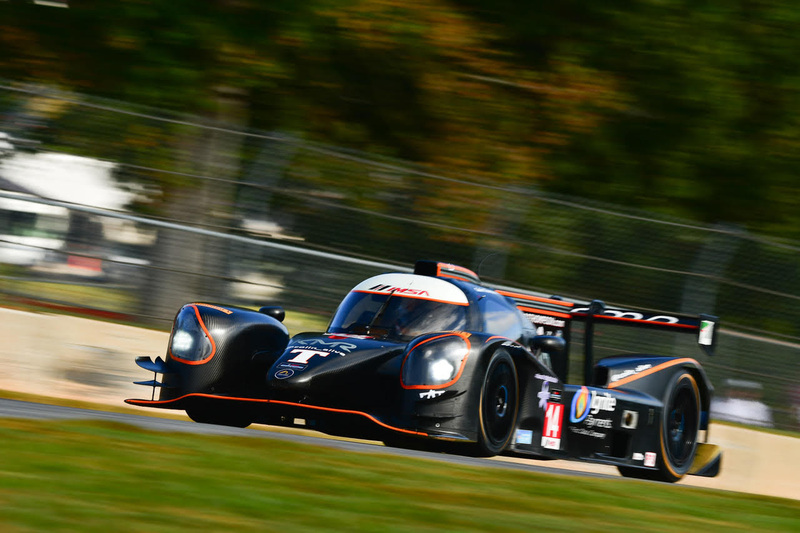 14 Ignite / Mattoni Water / Edoardo Borrelli / Ernst Benz / Sherwin Williams / Replay XD Norma M30. He followed that up with a third place run to the podium on Friday. 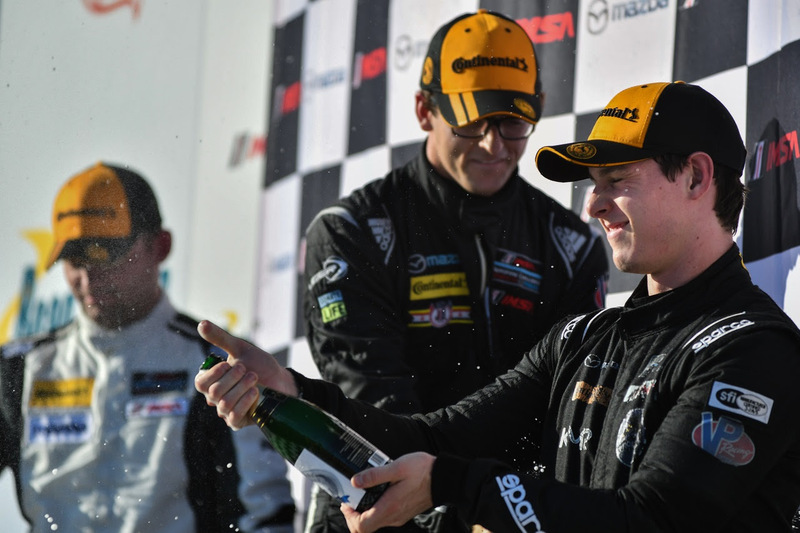 The result comes after fellow KMR driver, Jake Eidson, clinched the GT3 Cup Challenge USA by Yokohama championship earlier this year in the penultimate round of the season at Sonoma Raceway. Not only did 2017 mark the first year of Prototype competition for the team, but it also marked the very first championship win for the Norma M30 chassis. 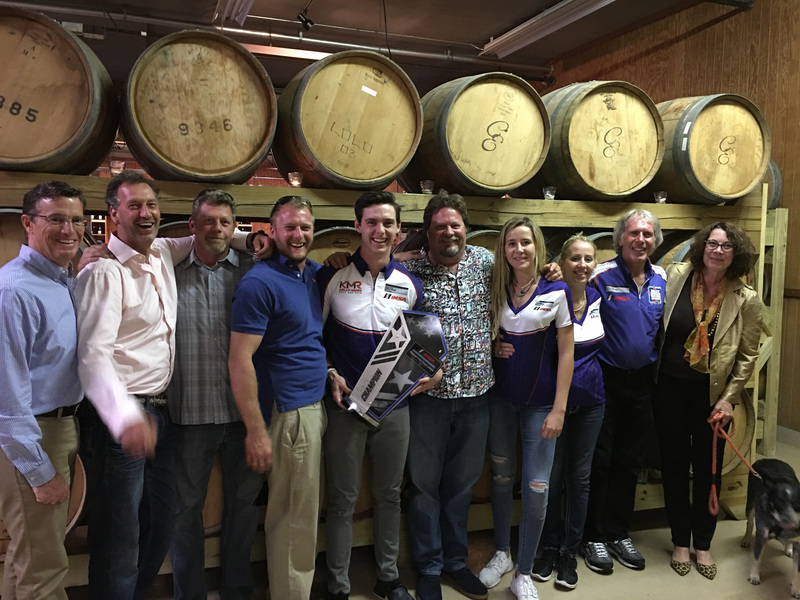 The team entered the season with only the unknown ahead – working with a completely unfamiliar car, but the strong team effort paid huge dividends. Team owner, Jeff Stone, is thrilled for his team’s second championship of the season and credits the hard-working KMR crew who proved successful with an unfamiliar chassis and delivered positive results without a deep reservoir of data to pull from. The championship title is also a fitting reward that has seen the team deliver some mammoth efforts to have the car prepared and ready to go for every practice, qualifying, and race session of 2017. Those efforts included some cross border midnight runs for parts, a lot of midnight oil building the car after waiting for customs to clear for the initial delivery of the car ahead of the debut in Sebring, and the metronomic performance of Thompson that saw him on the podium for every race save for two. Kelly-Moss Road and Race will celebrate at both the GT3 Championship banquet and the Prototype Challenge banquet on Friday at Road Atlanta.